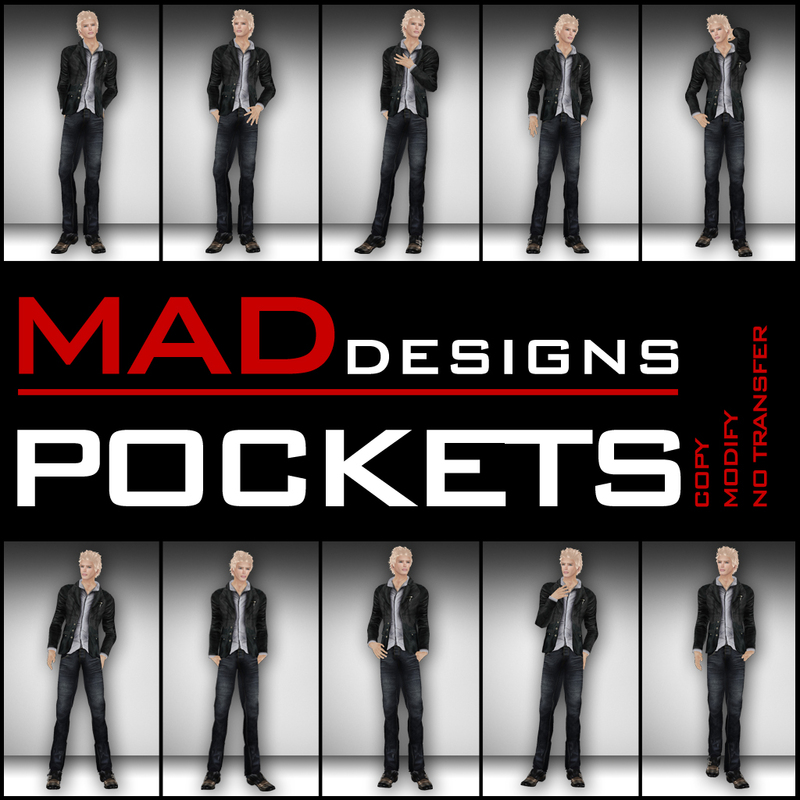 We would like to introduce you to another great product from MADesigns. 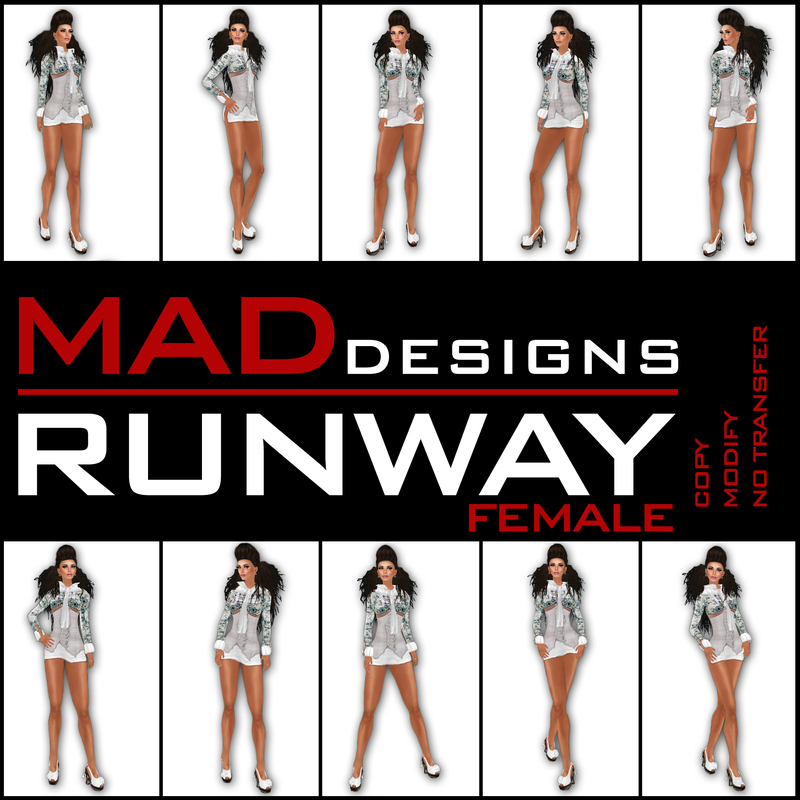 Most of you would know MADesigns by our vast and diverse collection of shapes and more recently realistic eyes and photographic textures. 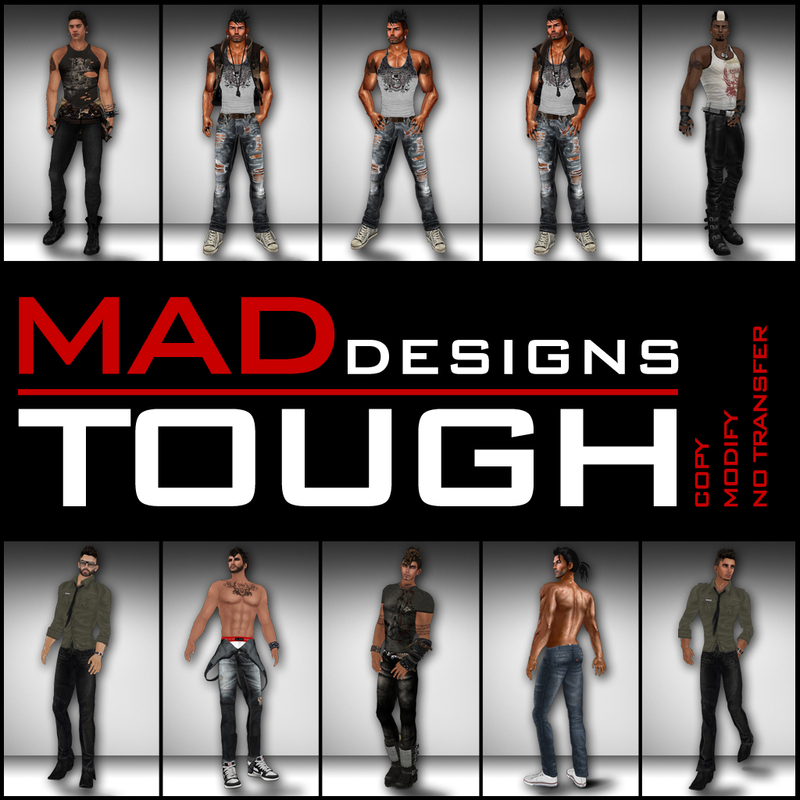 Well, here is another quality product that may greatly enhance your appearance ->-> POSES !!! With great poses your avatar can express attitude and make you truly come to life in virtual environment. Poses can be used in modeling, photo shoots for your product, AOs or as part of your photographic studio essentials. 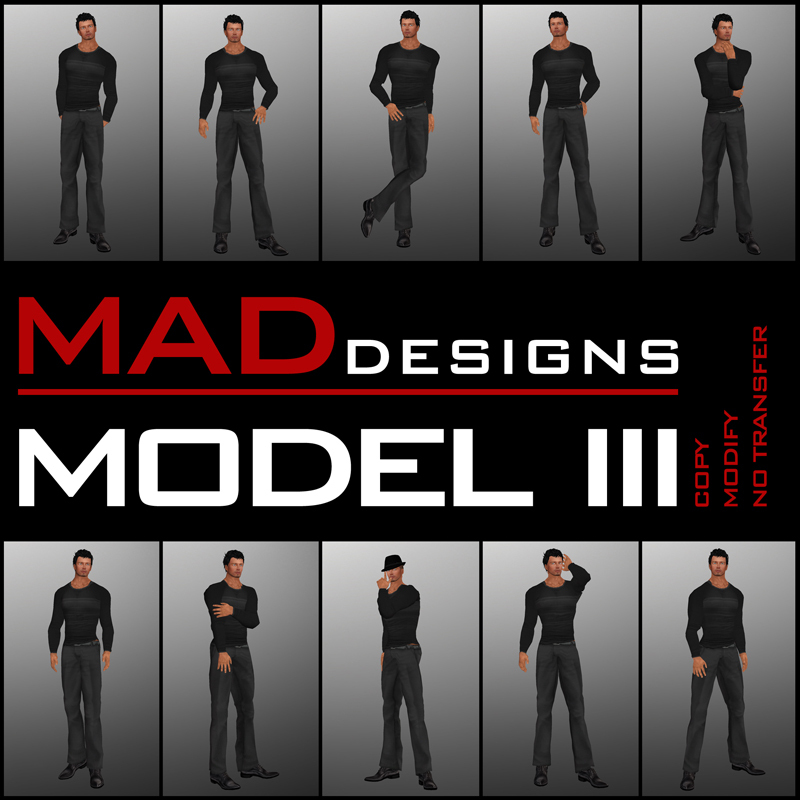 I always had trouble finding good male model poses in Second Life. Men are usually represented in more stereotyped poses that are often stiff and look unnatural. My other complaints were poses with double joints, poses that distort clothing and hands that don’t quite end up in the right place. But don’t start me with eyes; one of my pet hates is head position and not being able to self-photograph (unless you use your alt to take photos of yourself) because eyes would always end up in the back of my head. 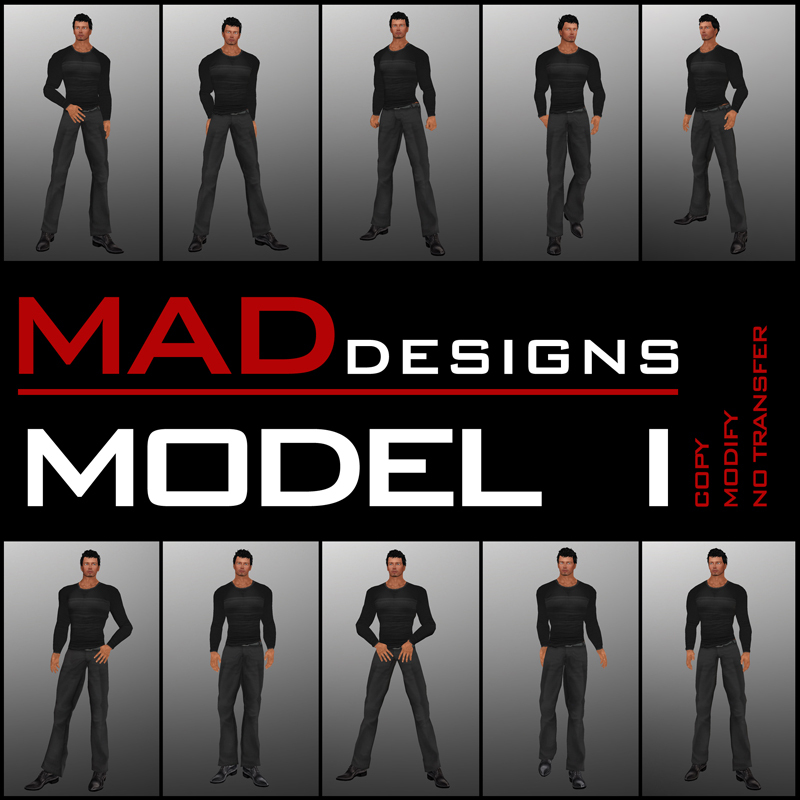 After listing everything I did not want my poses to be and spending time with MAD Agency models talking to them about poses that they need, I finally found time to start making some descent model poses for men. 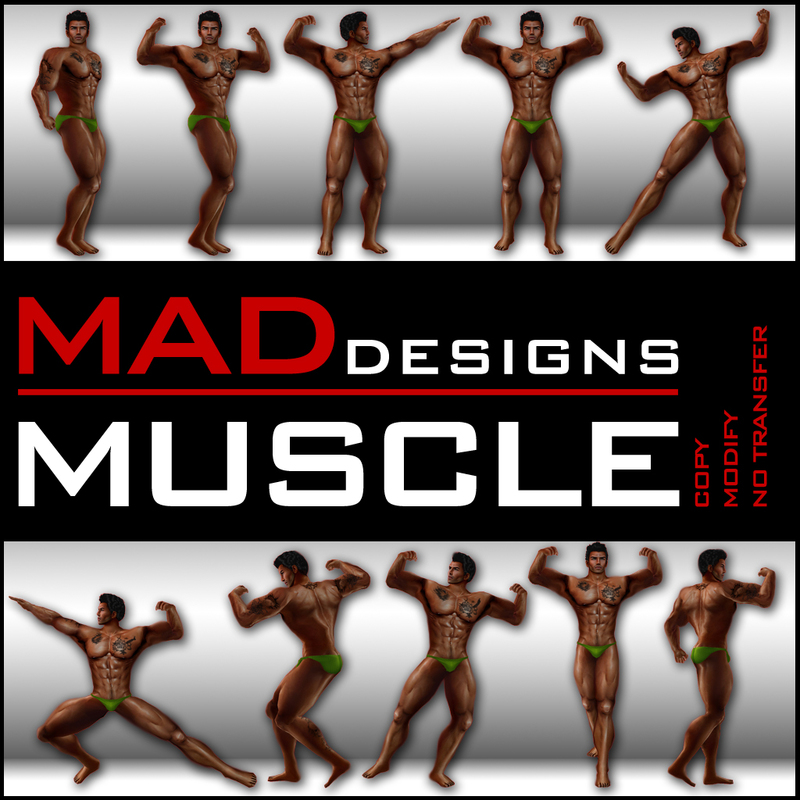 All poses come with fixed and free head version (available only in the fat pack) – this will allow you flexibility of changing head & eye direction when used with models. – NO CLOTHING DISTORTION – we take special care not to impact on the clothing distortion when creating our poses. 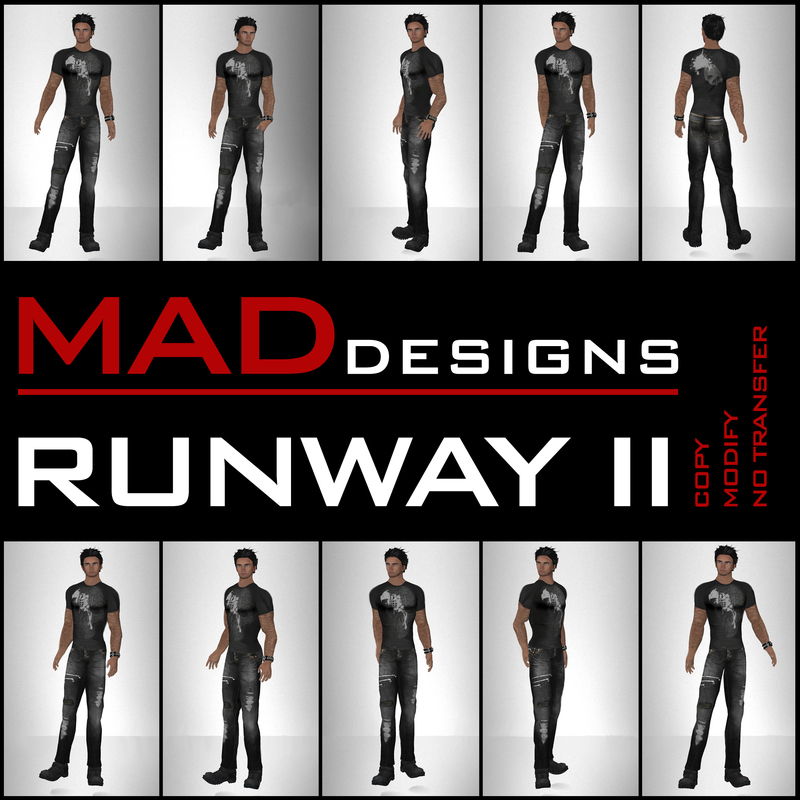 MADesigns poses are made with designer, blogger and model in mind. – NATURAL JOINTS – you will not look double jointed with our poses. MADesigns poses are always natural. 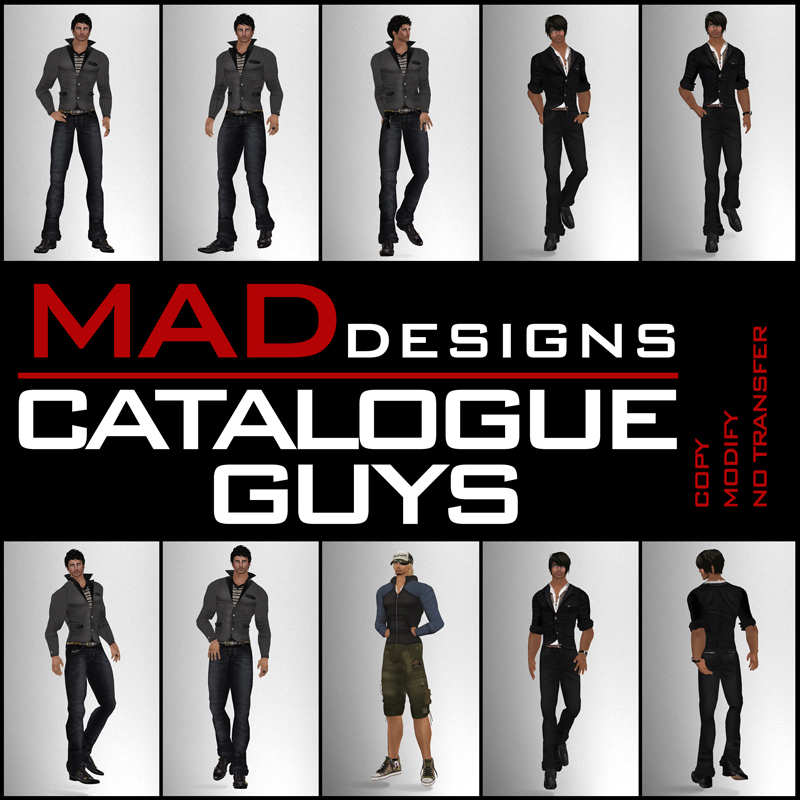 Catalogue guys is perfect for bloggers and fashion designers that want to show their clothing with style. 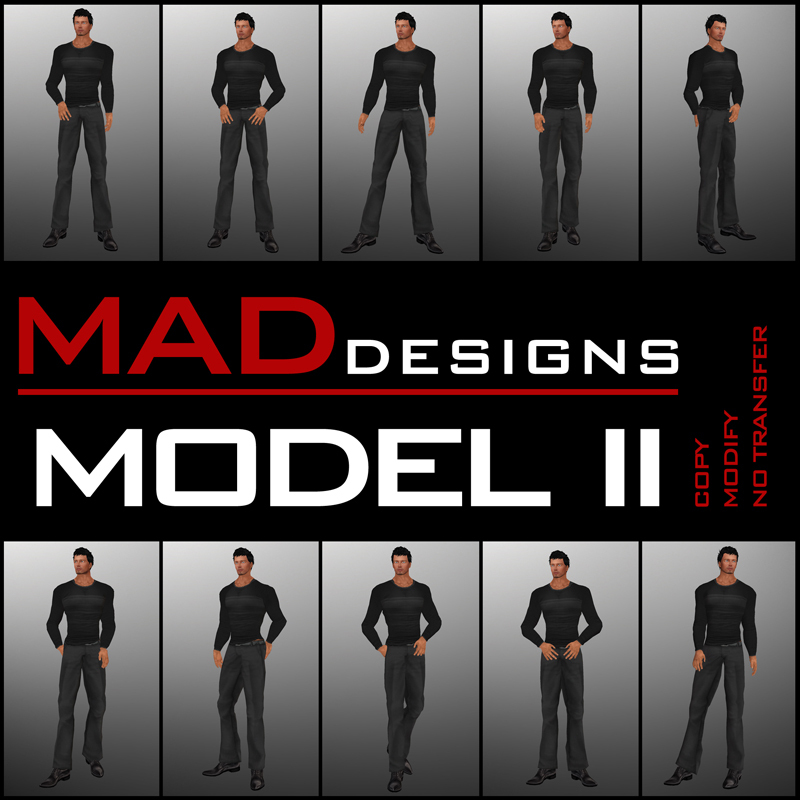 Excellent addition to any model AO, Catalogue Guys are made with men and clothing in mind. Sold as single or part of the pack. 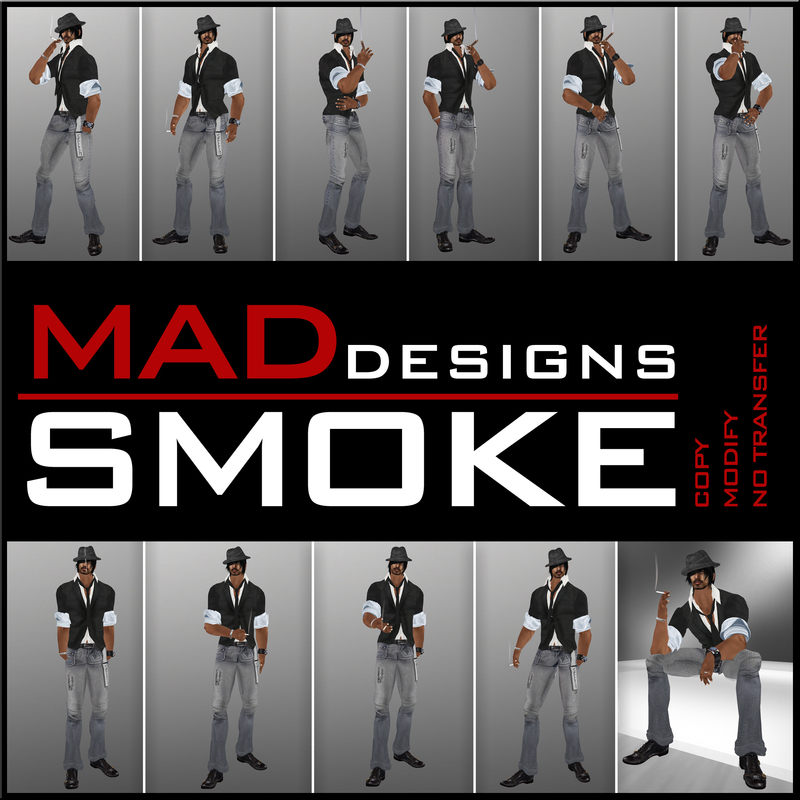 “Throughout Second Life history there has been many types of cigarettes, unfortunately most of them use the same smoking animation from ages ago. I know what your thinking, smoking has nothing to do with fashion. Wrong! From the time the first pack hit the stores until the late fifties, and especially in the forties, smoking was an icon for beauty and elegance. It is the style of that era that translates into the modern draw the smoking still has. 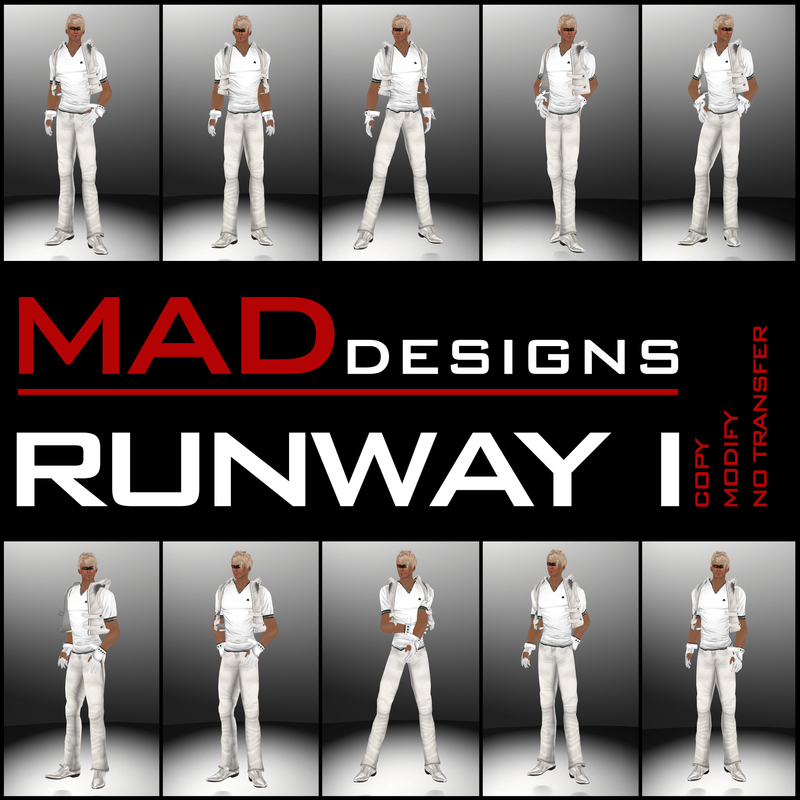 We have so many great ideas for new poses and will be releasing them continuously ~ if you would like to receive updates about new releases – please join KMADD Enterprise group (in-world) for everything KMADD from MAD Agency shows to events and new releases from MADesigns. 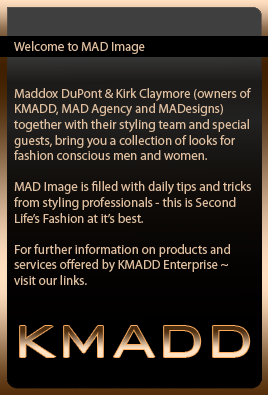 MADesigns SHAPES | HAIR | EYES | POSES @ KMADD.